Complete range of luminaires for lighting applications with free standing, desk mounted and wall mounted luminaires. Special reflectors and a coin prismatic structure (CPS) developed with the ray-tracing method Absolutely glare-free (in accordance with national and international regulations on health and safety at work) light with a unique ergonomic comfort. 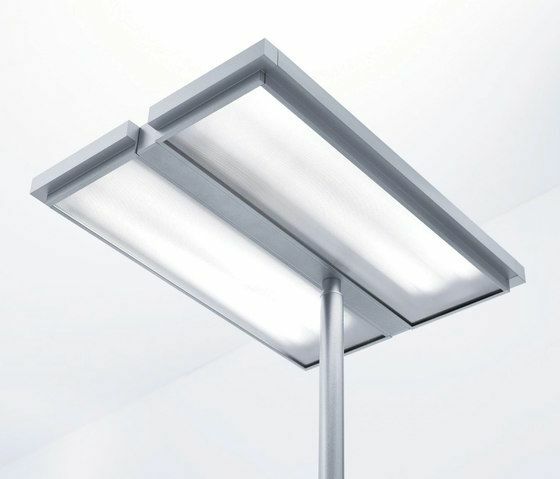 Integral lighting culture with high energy-saving potential. Highly convenient maintenance. The luminaire can be cleaned easily and without the need for tools. Luminaire can be integrated ideally in a wide variety of workplace configurations thanks to various luminaire head mounting types. Available also with the integrated light management system PULSE.